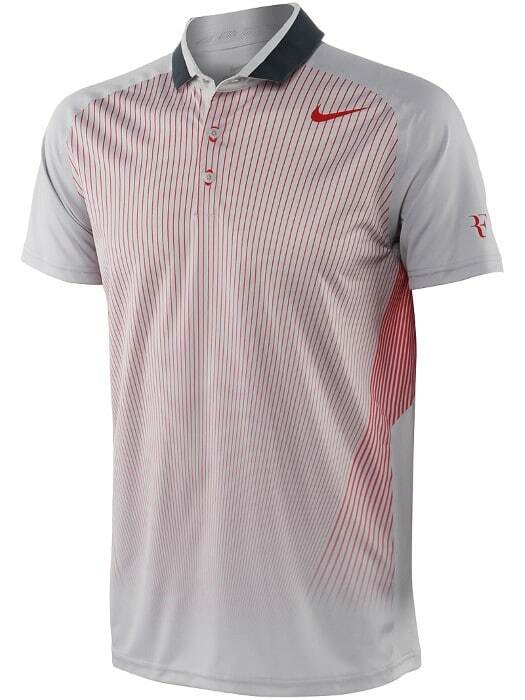 Here's Federer's outfit for the Shanghai 2013 Rolex Masters, it's basically just a rehashed version of his US Open outfit with red accent colours rather than the blues he wore in New York. There's hardly any pictures of this floating around and I'm surprised that none of the retailers have started stocking it yet with the tournament only a couple of weeks away. Perhaps his early exit at the US Open has left them with excess stock of the Autumn / Fall apparel they need to shift. 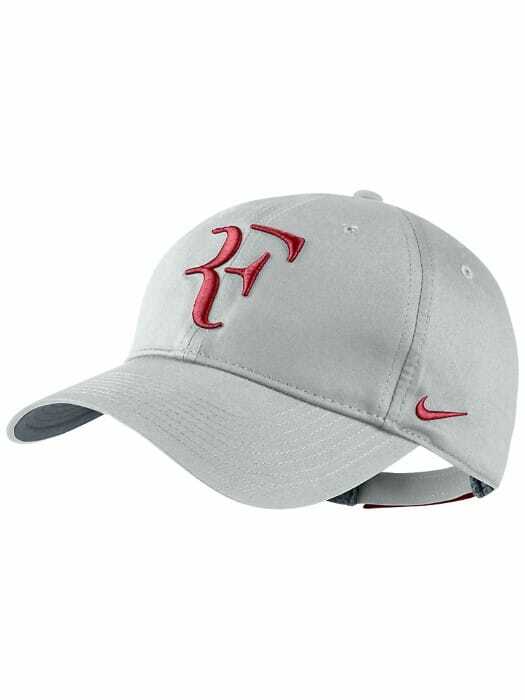 Although if you go on the Nike website it almost feels like they have phased Roger out as everything is Nadal orientated right now, you either have a “Shop Rafa” or “Shop Men's” button. As for this outfit I don't mind it, it obviously compliments the Chinese flag so I can see why they chose red as the accent colour and the design is just ok in my opinion. 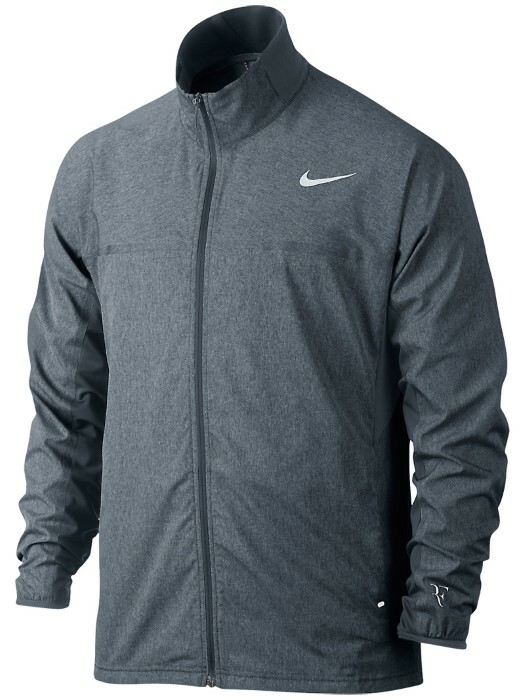 I wasn't a huge fan of the US Open outfit but it worked pretty well once he stepped on court (barring the night session shorts) so this one might look good as part of the whole ensemble too. Although the courts are a purple-y blue in Shanghai so I don't think it will work quite as well here in terms of contrast. The shorts and Nike Trainers are below, the shoes look pretty good which is usually the case when the base colour is white like the majority of Vapors he's worn. I'll be adding on the bandana, jacket etc once they are released. Updated pictures now below. What do you guys think? Is it a winner? But oh my godness… am I the only one about to puke about those clothes?…. 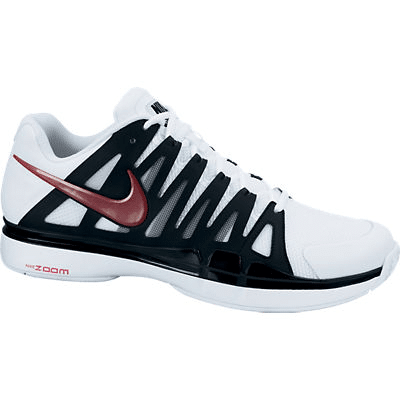 They aren’t the worst, no real difference to the USO just put in some red. They might look ok on. 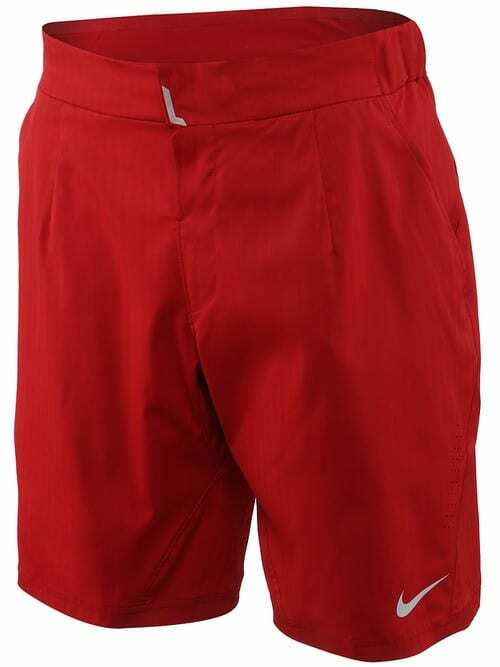 Although red shorts are a little bit British Holiday maker in Benidorm style lol. Needless to say I won’t be buying them. I thought the blue made it nice pre uso. but this?? -.- Nike, WAKE THE F*CK UP!! No No No. I worked so hard for this moment and I though I had it. All my life was about this. Practice hard, and hopefully one day you will emerge victorious. I’ve seen worse I reckon this year. Shirt is nice; shorts are something better left for Nadal; shoes don’t work either. 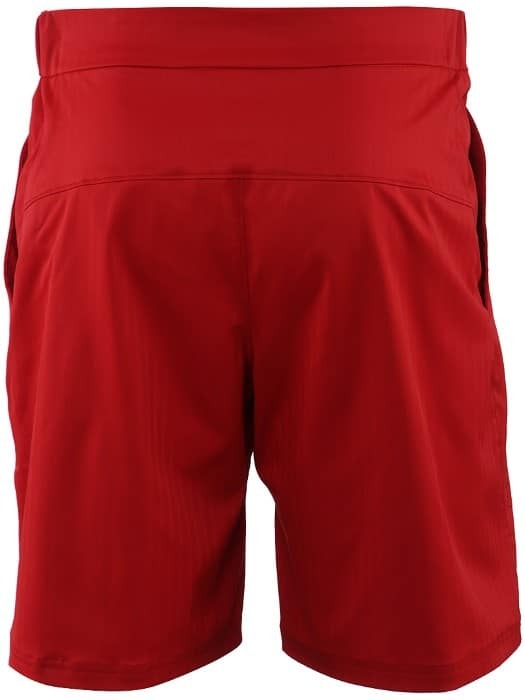 Yeah red shorts not good. Shoes are ok I think, but against blue court not sure. Yeah they ain’t bad, not seen any other pics to confirm them though. Nope, doesnt work for me either! And why isn’t he playing Beijing when Stan has added tournaments and He and Gasquet are piling on point pressure! Come on Fed, add a couple more in! Jonathan, can you work out how many points he needs to get to London? Ps I met Boris Becker last night. Delightful! In a nutshell, he doesn’t think Fed will win another slam( although said he was biggest fan) doesn’t think Nadal and Djoko are on drugs, but slightly admitted that tennis is somewhat repetitive today with the baseline slugfests! He was extremely nice, the consumate professional, and full of great anecdotes. Still cannot get over the fact that he was no 1 player in Germany when he was 14/15!!!!!!! The most interesting thing he said was that all the niceties were not real, although he admired all the players for behaving so respectfully in these PC money driven times, compared to the past when he said the battle started in the locker room, played out on the court and then sometimes continued back in locker room!!! Ahem! Shouldn’t the points question be for me 🙂 It’s not about how many points, it’s more about how many tournaments the others play and the points they can amass. For Roger to be safe, he should target 4000 points. He may be able to make the cut with 3700 but that’s cutting too close. One of the ways to be on track would be to win Shanghai (1000 pts), runner up (600 pts), or semi (360 pts). I bet the draw will give him a clear path to the semi where he will face either Djokovic or Nadal. If he were to lose, he would have to do something similar in Paris and pick up some more in Basel. I’d say unless Roger keep playing horrendously, he will qualify. After all, this is the most comfortable part of the season for him. I am surprised he didn’t play another even though like Beijing. What else can he add? Stockholm? Guess he has chosen practice over match play which might not be the worst decision as I haven’t seen any pictures etc so he’s kept a very low profile. When Robredo broke him down he needed time to recoup, when the Fed-man finished Dull be sucking on soup. Tennis players have the biggest egos. They are the biggest snobs around. Their behavior is tailored to fool the public, under pressure from the organizers, and importantly, the sponsors. It’s Nike who is keeping Nadal on a leash or he and Toni would’ve ripped Roger apart to pieces (as if they aren’t doing it already). All this talk about how much Nadal respects Roger is a whole lot of malarkey. Sid, could not resist answering your comment as I agree with you in all you said. Am a new visitor, i.e. commenting as I have read Jonathan’s blog for quite some time. Am not a tennis player but love the game of tennis, am a BIG Roger fan, his tennis, his manners on court and off, his family, he is a great human being in my eyes. My eyes are 88 years old, but do wear glasses! Wishing Roger success in Shanghai and beyond, would like to see at least one more GS. Common, Roger. One more comment, like “Sid, the CookieThief”. Jonathan, your blogs are great like Ru-an. Thanks :D, I have read your comments many times on Ru-an’s blog as I read his posts quite often but I had no idea you read here too. Hey thks for the detail! My hope is also that Gasquet and Stan get weary as hv added a lot of tournaments! Delpo has realised he needs to up the ante( playing Tokyo) and Raonic now snapping their heels! I have read a few of Ru-an’s articles. He writes with extreme passion. He an I agree on a vast majority of things, particularly the use of PED’s in tennis. Jonathan, can we please do something about this Pablo guy? I told him not to talk to me but he wouldn’t listen. Fed won’t get 4th seed though so could meet Dull in Quarter Finals in Shanghai. Personally think the WTF organisers will be desperate for Fed to qualify as hv almost certainly lost Muzza and there is always a risk someone pulls put injured! I see Delpo has added in Tokyo to keep in race! And Raonic has gained ground by winning KL! Meeting Becker must have been great Susie. But he said he WAS Roger’s biggest fan? man that’s sad, Roger is in the past 🙂 Unless he still is his biggest fan! Absolutely, al. V PC now and Boris is part of the Club! He even deferred to Annabel Croft who was also there. Too much at stake. One thing I did disagree with ws that tennis is in such a good healthy state. Actually I believe it is at the top of the curve and unless we get some more breaking thru and they change up the courts or stop the technology then actually the interest in tennis cld drop off. Boris also felt that technology had dulled the game. The fact that as he said these guys can hit a winner from 3 metres behind the baseline says it all! It should be that the guys who played the game now have a say in how it’s run. Too much corporate boardroom crap. They then put puppets in charge. Same as the FA, jobs for the boys. Hey all… I think this outfit is not that bad but defo not great. The best thing is the trainers/sneakers. 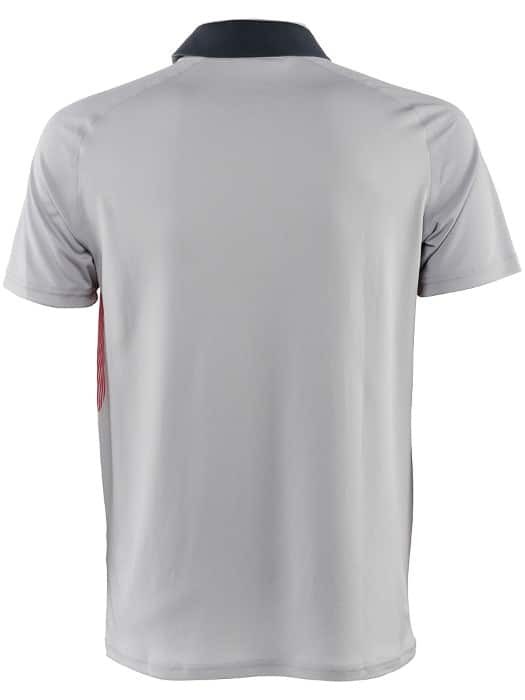 Nike really need to give their heads a wobble and start doing the clothes for Roger what they did before instead of doing a cant be asked/Nadal-esk style of left overs. Which will resort to the statement ” Its sooo last year! !” Anyway really looking forward to Roger playing in Shanghai Masters. Hopefully it will be more of a successfull tournament. Whatever happens Roger is still the GOAT. !!!! I’m looking forward to Shanghai too I haven’t watched any tennis since US Open, been too long. Haha, just sounds so wrong. Like saying aloominum for aluminium. The biggest shock since Goran won Wimbledon in 2001. Yeah red like the FO worked well, dunno about this one though. Hi Jonathan, Goran’s win in Wimbledon 2001 was the most exciting match i remember watching. Have a recording of it. Thanks for your kind welcome words. Ru-an is my home base blog to read regularly, my favorite. Do enjoy reading your blog along with comments you receive. The whole outfit looks great to me, but on the Shanghai courts? Not sure. Maybe on the old red basel court. You bumped into Fed in Switzerland yet Conal? Sadly not! I heard he’s in Dubai currently since he has another house there. 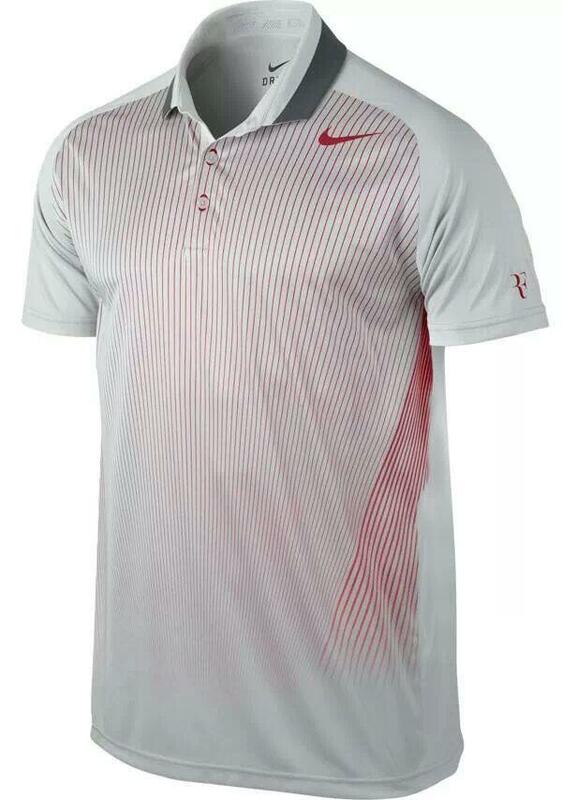 Roger will look good in anything; however, could the designers actually make a shirt that fits Roger? Every shirt he wears pulls across the front and the buttons strain. Even better, suggest Roger get a sponsor who doesn’t also support Michael Vick of dog fighting ‘infamy’ – how Roger, a man who appears to be an ethical human being, can do business with Nike is beyond me. Never heard of Michael Vick but to be honest what you are saying is ridiculous. Fair enough if Roger was endorsing stupid supplements with known side effects or encouraging fans to take out payday loans to buy tickets for his exhos but because Nike sponsor someone who was implicated in a dog fighting ring he should have refused to do business with them? Don’t be daft. If Roger had to vet every sports company and run background checks for who else they sponsored then I don’t think he’d find a single sponsor that was whiter than white. He uses cash and awareness generated from those things to put into his Foundation anyway. Some people seem to think Roger is Mother Teresa. He’s not, he’s first and foremost a tennis player. Google Michael Vick, Jonathan. ‘One’s character is judged by the company one keeps.’. So you honestly expect Fed to terminate a deal with Nike that’s been in place since around 2002 off the back of a guy who was involved in a dog fighting ring in 2007, who by the way he will never have met from a completely different sport? Funny that people who can’t find unethical behavior in Roger are now resorting to making outlandish suggestions that Roger is evil by being associated with Nike. As you put it, Jonathan, we won’t survive one minute if we follow the “principle of association” with the people or businesses we work with, the food we buy, the list goes on. It looks like something any of the other players might wear. Not awful but not the best. I think of the red as the color of the Swiss flag. Fed can wear anything. He knows how to enhance the product. Djoker and Nadal will not look good no matter what is designed for them to wear. Maybe Djoker’s fiancé will change his attire. I just want the Fed to win. I am not going to concentrate on this design if he doesn’t win we will not be seeing it very much. Delores, I liked your comments. I agree Pat, not the worst but a long way off being good. Nike have been poor this year, perhaps their designers see it as a transition year too lol. Actually quite like Djokos outfits by uniqlo! Huge improvement on the absolute crap he wore before!! P.S. Mike, I am totally kidding! yes he is always winner and i want to mention one thing that i am from India and here in India always all about cricket and i big fan of Great Sachin Tendulkar always be. and i don’t have no idea about tennis but i saw my first tennis match RF against delpotro i think in Wimbledon and what a match that RF comes in winning moment and and then from i am big hugeeeeeeeee fan of RF and yes i think this years its not going well to him but i am sure he coming with bang and i am waiting for that moment. Fed vs Del Potro maybe at the Olympics? Or do you mean way back in 2007 at Wimbledon? Both were good matches. Del Potro then is completely different to now though, I just watched highlights, crazy how he changed. Amar, if you love Sachin Tendulkar, then you’re going to worship Roger Federer. You have a lot of catching up to do though. Sachin is a big Fed fan. Think he came to Wimbledon once. I think the outfit will really suit Fed as it sort of represents the Asian Culture of Red. Yeah I guess so, I just think the design is poor, colours aint the worst. I don’t mind the outfit. Nike hasn’t done a good job at all this year though. Did anyone watch the Raonic Berdych match? They both played controlled aggressive tennis. Raonic’s game keeps improving. Mentally, he’s pretty good. Does anyone know what size racket Roger will be playing with? I haven’t heard anything about him at all. I just watched the final of the 2010 AO again. His backhand looked solid and movement much better than we’ve seen this year. Hopefully, his back issues are gone and he’s hungry to play. I didn’t see, but I wanted Berdych to win for once. Not a Raonic fan for some reason, can’t warm to him. I saw Benneteau clown up vs. Sousa lol. Not heard anything RE racquet, I hear he’s in Dubai, very much keeping a low profile since USO which is smart I guess, zero media attention. He said he would use the racquet so maybe he has been doing, I hope so. me with a Nadal fan?? No way!! You know this whole “winning all the Masters” is a whole lot of baloney. Federer has won at Shanghai, twice in the YEC. The only items truly missing from his resume are Rome, and Monte Carlo, of which the second which I consider a pathetic surface, is not even mandatory. I’d say that Rome is the only place Roger hasn’t won. Is Shanghai fast? I don’t think I’ve ever watched a match played there. Maybe it’s not that fast after all. For me to be supporting Berdych, it would almost certainly have to be Stepanek on the other side of the net. And maybe not even then. Especially knowing that a win would put him a pathetic 5 points ahead of Fed in the rankings. And the gd news is that both Tsonga and now Stan are out of Beijing so no extra points! Lets hope they and Gasquet run out of steam! Seems like Raonic pushing harder to get to London! Saw Fed arrive in Shanghai on YouTube! How does he do an interview straight off? Kudos! Ps just read Strokes of Genius, such a great dramatic story of the 2008 Wim final, set by set! On another note, hilarious that Djoko/Stan beating all the established dubs team as a scratch pairing! Proves my theory, that the better singles players will usually win in dubs even if dont play that often! Just better players full stop! Doubles is a completely different game. I mean, you still need a racquet, shoes, balls, a tennis court etc. but it’s a different beast. Susie’s statement should be changed to mean, “better singles players will usually adapt to doubles much faster than the other way around”. Singles players without a doubt are better players. No wonder singles is wildly popular and the prize money is insane compared to doubles. I feel there is no honor when two singles players ranked in the top 10 start playing doubles tournaments. They are taking food away from the table of these doubles guys. It’s like bullying. It’s like Serena Williams beating up players in the wrong bracket. It’s not fair at all. I understand there is pressure from sponsors but a No.1 player teaming up with a No.9 and beat up on others, not that they will win, is horrible. Shame on you Novak! Shame on you Stan! Just leave those doubles teams alone! Hard to say, I uploaded a couple of vids to YouTube earlier, looks like ProStaff paint job, but is the frame bigger? Can you please give us links to your vids or email them to me? I just did a post on it now. Video is on there.